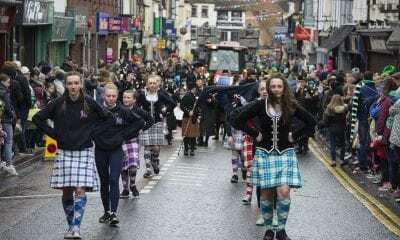 Fast-paced, entertaining, engaging, lively, thoughtful and filled with plenty of home-grown talent – just some of the ingredients that make up this year’s all-new Home of St. Patrick Festival celebration in Armagh. 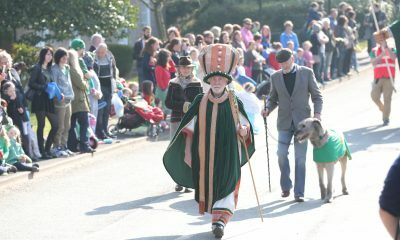 Armagh has always known how to celebrate the world-famous patron saint and the unique links, heritage and history which the ecclesiastical capital has with St. Patrick. This year is no exception, with 30 noteworthy events planned to make sure that 2019 is the one to remember. Filled to the rafters with an outstanding programme of things to do, places to visit, see and enjoy, this year’s festival runs for 10 full days in March, providing local, national and international visitors with an unrivalled chance to mark his legacy. From Friday 8 March until Monday 18 March, this exciting Armagh showcase festival takes in multiple iconic venues – from the two stunning Cathedrals of St Patrick to the earthiness of Navan Centre & Fort and taking in the city’s acclaimed Palace Demesne, Robinson Library, and Market Place Theatre. 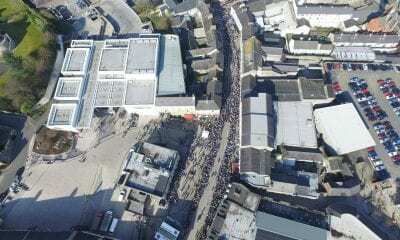 There are walks, talks, tours, music, song, comedy, dance and unlimited festival fun to entertain everyone, every day. With 30 standout events to choose from, highlights include: The ‘Táin’ tapestries by Louis le Brocquy – one of Ireland’s foremost painters – will captivate visitors at the Market Place Theatre as part of a special exhibition of illustrative works that depict heroic stories of a bygone age. Le Brocquy is represented in numerous collections from the Guggenheim in New York to the Tate in London. Join Armagh’s very own JB Vallely, one of Ireland’s greatest living artists on Saturday 9 March for a unique tour to hear and see the enthralling stories, landscapes and history that influenced his works, and enjoy lunch along the way. Bringing folk and traditional music back to his roots and fresh from a collaboration with Ed Sheeran on his album Divide, Brian Finnegan along with some of his amazing musical friends, will be playing up a storm at the Church of Ireland Cathedral on Friday 15 March – an event not to be missed. A major festival highlight for both musical aficionados and otherwise, the ‘Celebrate St. Patrick’ choral extravaganza takes place on Saturday 9 March, led by prominent composer and acclaimed presenter John Anderson. Join in the celebration of the patron saint in the stunning setting of St. Patrick’s Roman Catholic Cathedral, with an exciting mix of words, music and dance, traditional and classical, ancient and modern, the reflective and exuberant, sacred and secular, all set to make this a very special evening. 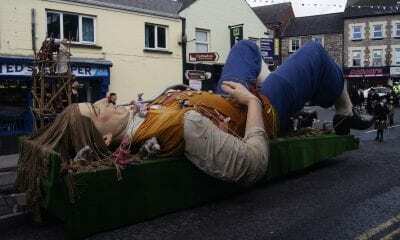 With a new theme of ‘Invention and Reinvention’, the popular annual St Patrick’s Procession will colourfully weave through the streets of Armagh on Saturday 16 March from 1.30pm and is accompanied by a free Family Fun Day of festivities at The Shambles Yard starting at 1.45pm. Kick off the big day itself bright and early on Sunday 17 March by enjoying ‘Sunrise with Patrick’ at Navan Centre & Fort from 5.30am. Feel captivated with song, stories – and a hearty breakfast – while immersing yourself in the past. 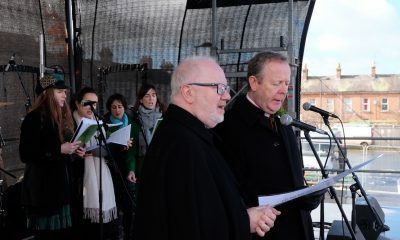 The Primates of All Ireland, Archbishops Clarke and Martin, will also be providing a warm welcome to those commemorating St Patrick’s Day itself with a joint lunchtime event in the shared space of The Shambles Yard between the two magnificent Cathedrals in the city centre. The St Patrick’s Day celebrations continue right throughout the afternoon on Sunday with yet another day of free family fun and a concert at The Shambles Yard. 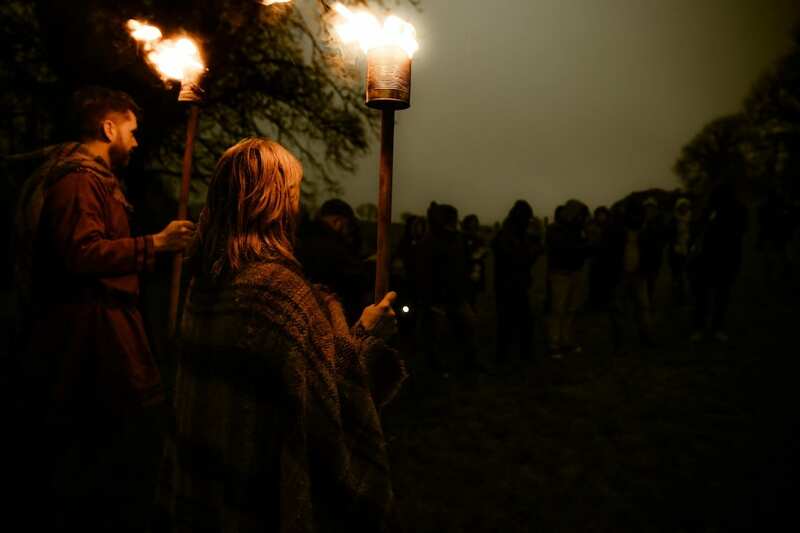 Live music, entertainment and workshops will be sure to enthuse the young (and not so young!). If you have the energy left, you won’t want to miss the ‘St Patrick’s Family Day’ at Solitude Park, Banbridge, on Monday 18 March which is guaranteed to make the day fly by with free activities, including live music, workshops and entertainment. To view the full programme and for more information on free and ticketed events, including booking, visit www.visitarmagh.com/stpatrick. 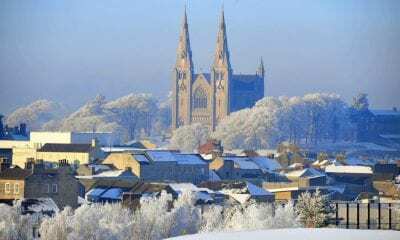 Alternatively, phone Armagh Visitor Information on 028 3752 1800 or email info@visitarmagh.com. 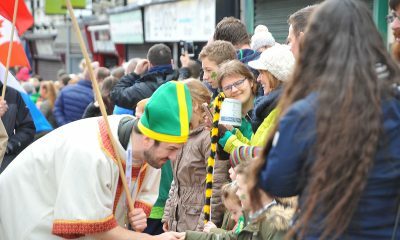 Pictured: Council-led St Patrick’s Day parade in Armagh – but not everyone was happy!